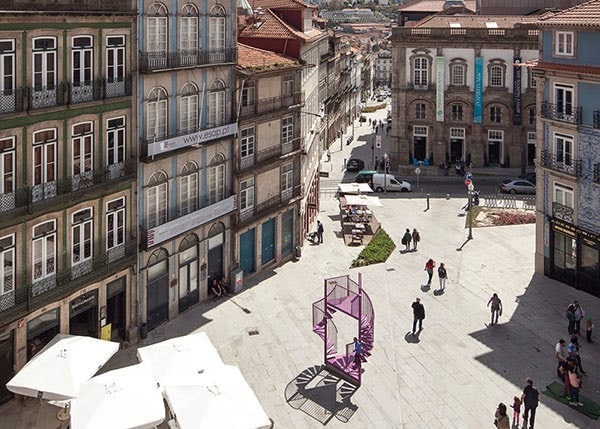 A spatial installation in the city of Porto by LIKEarchitects. 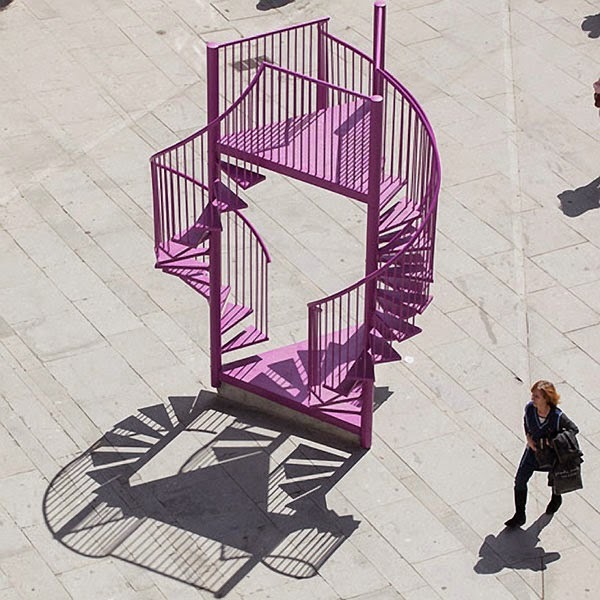 The purple steel installation is formed by three spiral staircases connected by a landing at the bottom and a balcony at the top. 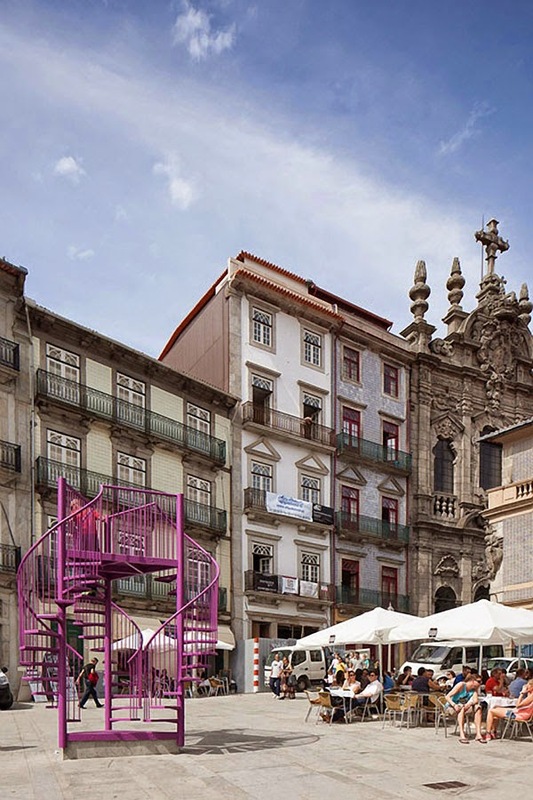 The structure pays tribute to the two architectural elements, the balcony and staircase, which the designers believe are part of the identity of Porto. LIKEarchitects is a Porto based architecture studio known for its experimental, provocative and innovative nature. This emerging practice strives to create architecture that is not only sensitive to the current socio-economic climate, but also aims to augment spatial experiences, as well as engage the community in critical discourse. 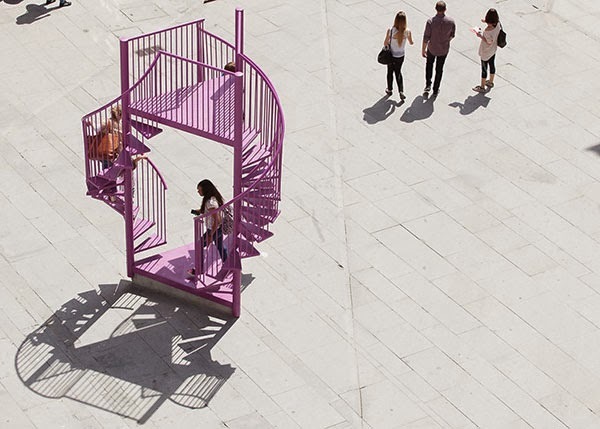 Using installation, urban art and spontaneous happenings as their primary medium, LIKEarchitects have activated the urban setting whilst engaging the community in a critical architectural dialogue. 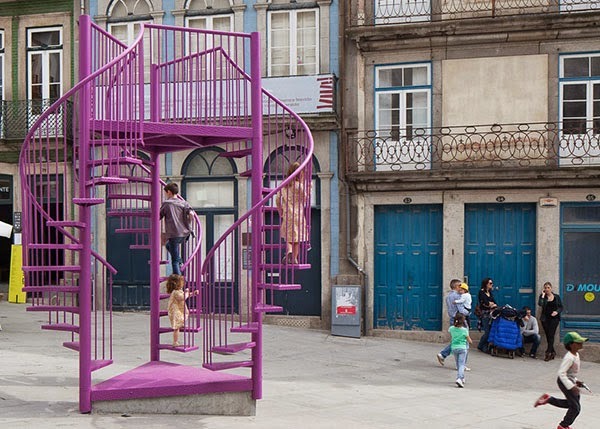 Tripod was first displayed in Largo dos São Domingos in March and from June 6–21 in Largo da Rua Chã, in downtown Porto.